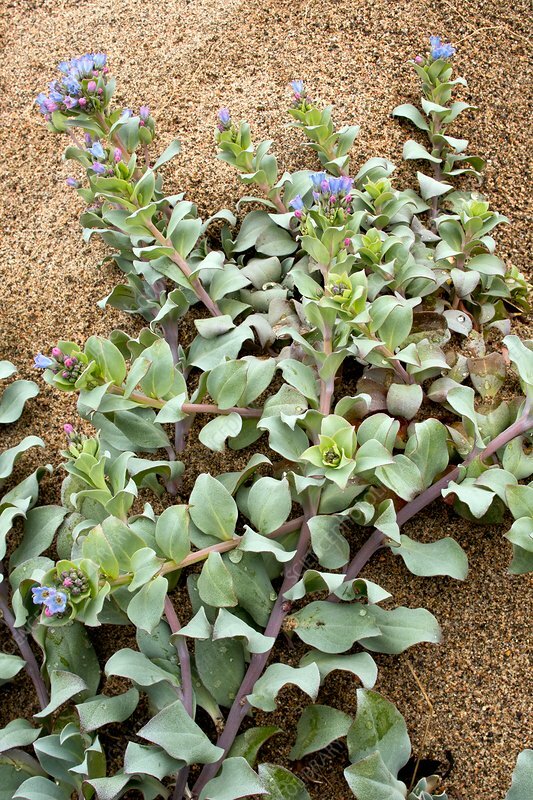 Oysterplant (Mertensia maritima) on a sandy beach. This plant is also known as the oysterleaf or sea bluebells. Photographed in Canada.